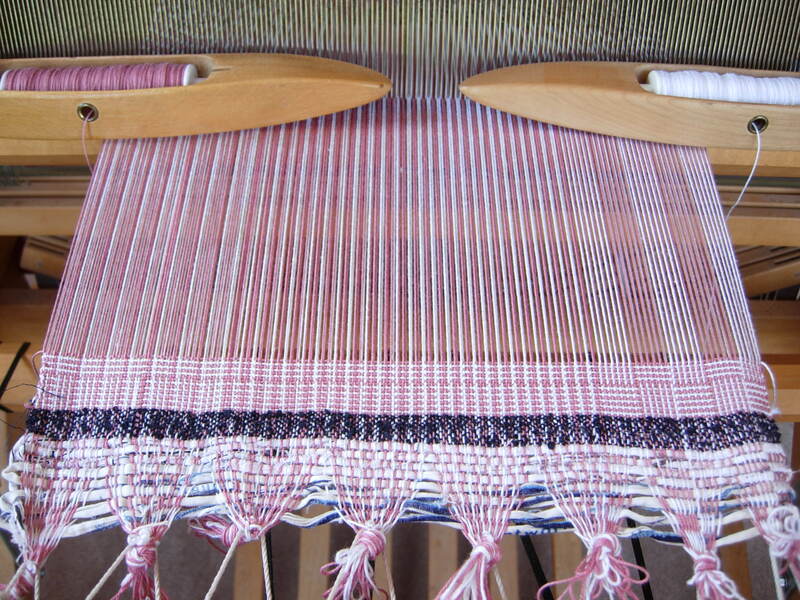 I’m ready for the Color & Weave Effects workshop with Sharon Alderman this weekend. We will be exploring Shadow Weave in the form of Log Cabin. It was a challenge to thread 4 different patterns using 2 colors but I think I’ve got it now. Can you see the 4 different patterns? This way of threading alternating colors makes the end result look much more complicated than it is. 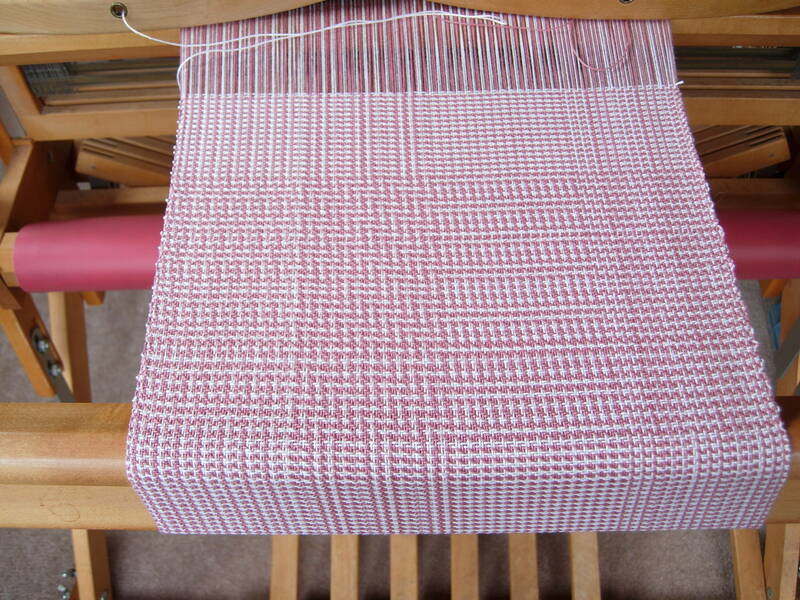 For you weavers: it’s just plain weave. In our workshop, we will learn how to work designs out on paper from the draft to the cloth diagram and weave several of the designs. Should be fun! Here’s how it looked after the workshop. 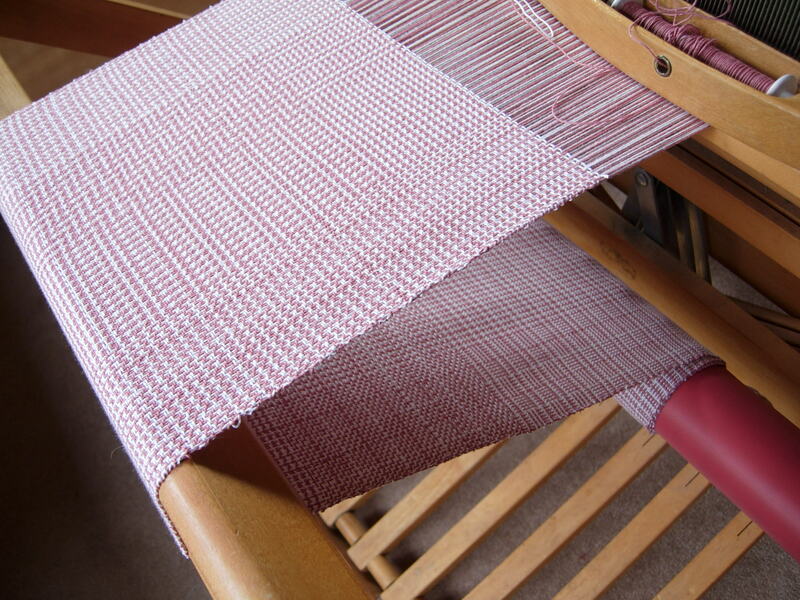 We repeated the color order of the weft to match the color order in the warp. My favorite is the zig zag in the pattern second from the left. Here’s another view. We wove 3 inches of each variation of the color order. Now I just have to figure out how I want to use this information in an actual project. Stay tuned.